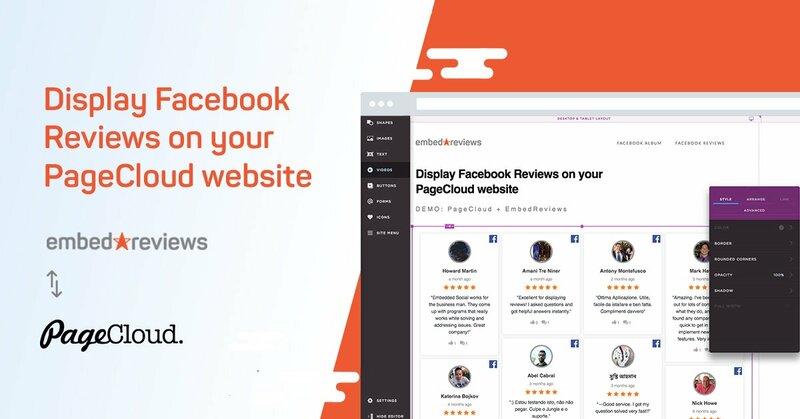 In this tutorial, I will show you how to display or embed Facebook reviews on your PageCloud website. 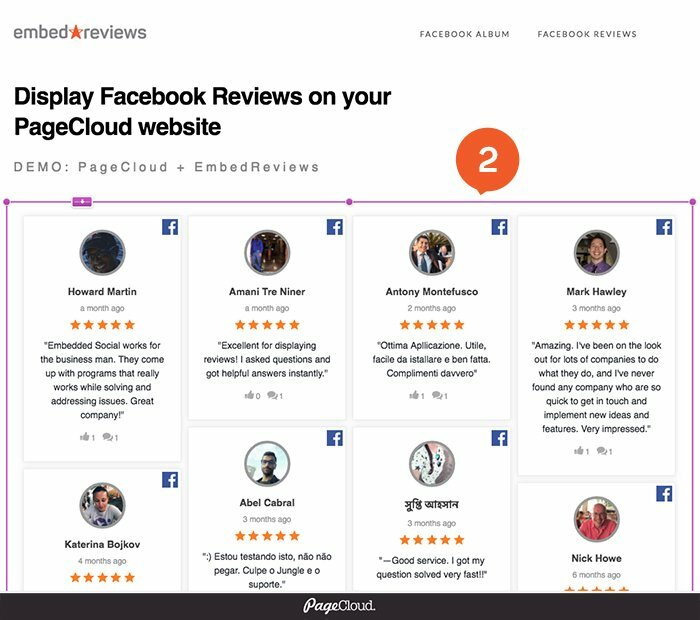 PageCloud is one of the best website builders and it provides one of the easiest methods to embed Facebook reviews. Hope you will find this tutorial useful and will help you to save time in managing your website. What else can EmbedReviews do for you? EmbedReviews is a full-featured product for managing online reputation. How to get started with EmbedReviews? If you still have not signed up for EmbedReviews, I suggest you give it a try. Sign up for a free trial and test the EmbedReviews superpowers, right now. We are always looking for new ways to improve and build on top of our platform, so I urge you to chat with us and share your thoughts. Read the articles posted on the EmbedSocial blog by the author Jane Uzunovski. How to Add LightBox Mode? How to Change Facebook Album Thumbnail Size? How to Edit Facebook Album Layout? 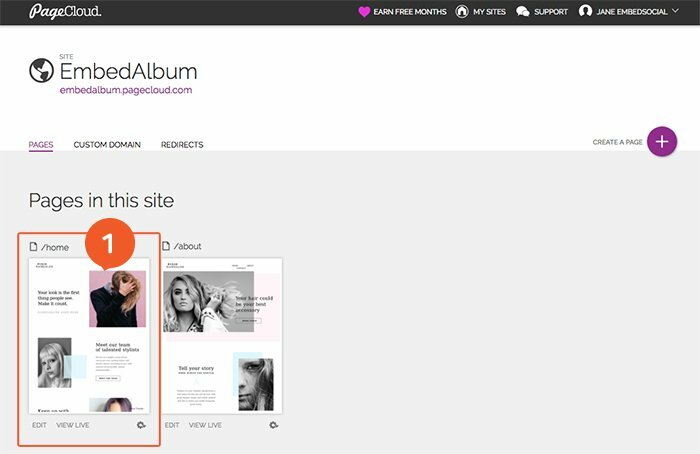 How to Embed a Facebook Album in WordPress Website? How to Embed an Entire Shop from Facebook and Instagram Albums? How to Find my Facebook Page Album URL? How to Import All Facebook Albums? How to search the imported albums?